I’m starting to really get into the loose-fitting-top-with-slim-cut-bottom-look lately. I think I generally try to avoid anything too loose-fitting because I’m afraid I will be overwhelmed by all the excess material. But I think I’m starting to learn as long as there is a proper balance and it’s not *too* big, this look can be achieved without looking like I started shopping in the Men’s department (or that I should go back to the Junior’s department). Their regular price is $89.99 plus 30% off. Beautiful soft suede (you know I love suede! ), a 4″ heel, and a non-seamed, almond toe. The front dips just enough so that a little skin peeks out from under my jeans. So pretty. The soles are completely rubber, no slippin’ and slidin’ with these babies. The padding of the insole is rather strange though. It has a weird pattern in the inside of the shoe and I can feel it under my feet when I walk. Not sure whose idea that was. 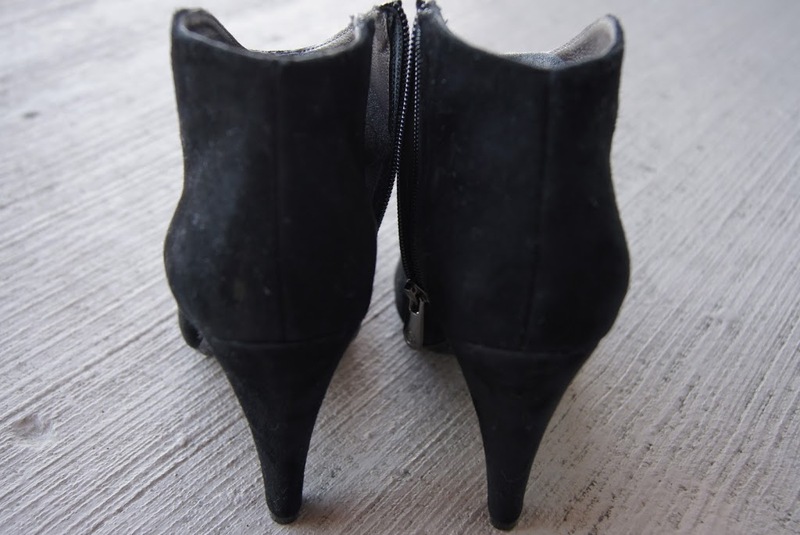 The heel is also a little wide so I do have some heel lift which does annoy me somewhat, and since I got my regular shoe size there is no room for a heel grip in the back of the heel without adding some discomfort. I think also the heel lift has something to do with the fact that I have narrow feet and small ankles, so there is a lot of space between the top of my foot and the top of the shoe. So instead of putting the extra thick heel grip in the back of the shoe, I put it at the front of the shoe and voila! Perfect fit! Shoe Verdict?? Even though I really shouldn’t, keepers! Cher are you in your storage cage? LOL! I love that top on you but I have so much shopping guilt too so I totally understand where you’re coming from. I assume you already got a bunch of stuff from Jacob already so I can’t wait to see what you get! You look so fierce in your storage pics! I am so sad that you are going to return the shirt!! It looks amazing on you! But I know what you mean about feeling guilty. Glad the problem with the booties has been solved! Since they are so versatile, I say keep! As long as you are completely comfortable with the fit! I love the embellished shoulder of this top, but I understand how it can be a bit much for something that’s not versatile enough to wear to work. and those boots look lovely!! 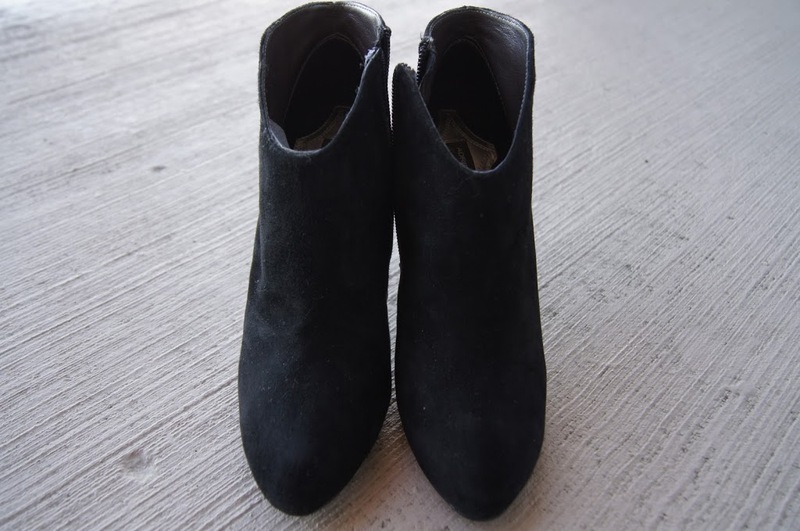 i love suede too. and shoes usually get more use from me, so a good buy! Ah thanks for letting me know about the dress! I just linked to it and it looks MUCH better on you. You fill it out nicely. 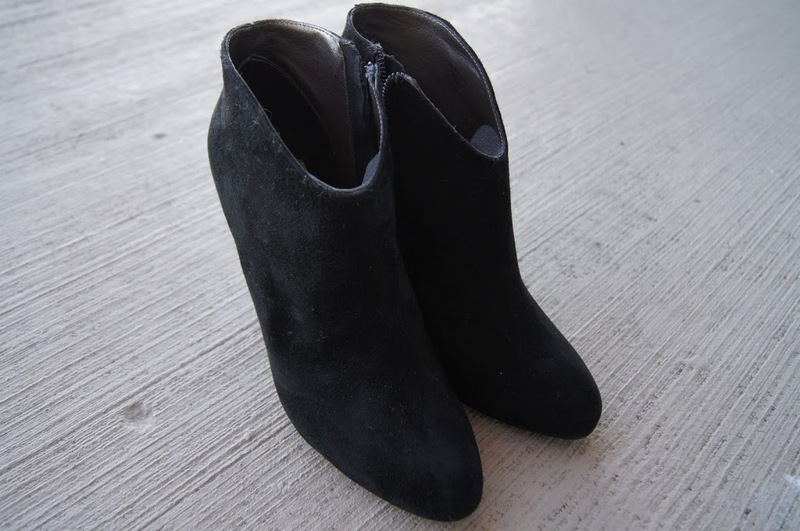 And these boots…wow we are definitely on the same train of thought. I got them for about $40 so they are keepers. They look nice on you but I am definitely not against you returning these for those TDF D&G heels!